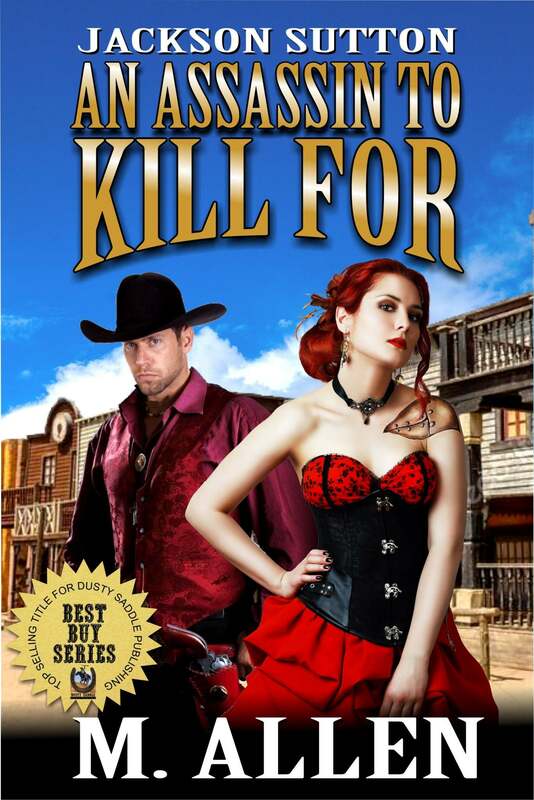 The highly anticipated follow up to the top ten bestseller “A Sheriff To Kill For” has now been made available for pre-order! This is one Western you won’t want to miss! Jackson Sutton had always been the brother who went his own way. After cutting a bloody swath of revenge across the Texas territory with his family, Jackson sought to make his own fortune doing what he did best—killing. For years, he’d kept his brothers separate from his life as the top assassin within the network of skilled killers known as The Eighth Circle. But when one of his fellow agents double crosses the Eighth Circle, threatening to take down the whole enterprise, they call in Jackson to face the only man who might be able to kill him, Gabriel Dubois, and protect the woman he’s loved for years. Hannah Baldwin lived a life of high status, money, and death. Known in the underground as Lady Black, she has earned her own reputation as a top assassin not to be trifled with. But when Gabriel Dubois, a former flame, comes after her family and the business they’ve built, she is forced into calling upon the one man she vowed never to see again—Jackson Sutton. The distance and years between them has done nothing to rid her of her feelings for him. Now faced with being hunted down, she has to put her trust in the man who broke her heart years ago. As the two of them team up to turn from hunted to hunters, can they stay away from each other long enough to remain alive under Gabriel’s hot pursuit? Click here to pre-order your copy of this great new Western today!